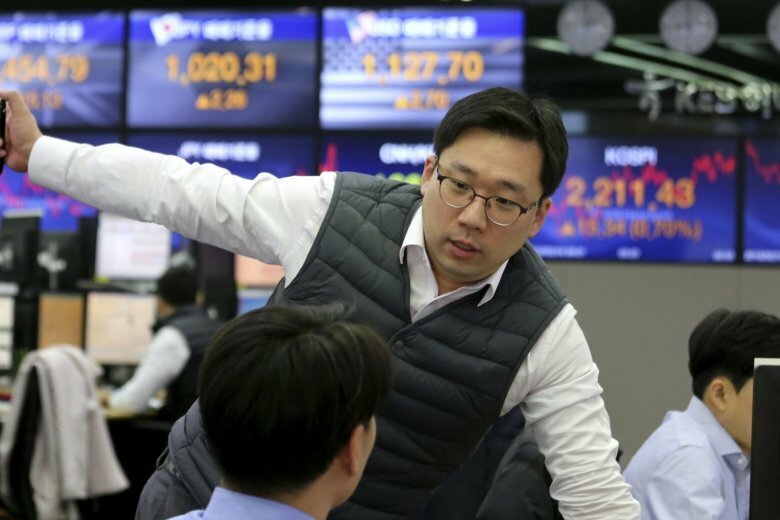 South Korea’s Kospi jumped 0.7 percent to 2,212.38 and the Shanghai Composite index rose 1.6 percent to 2,724.23. Hong Kong’s Hang Seng was 1.7 percent higher at 28,359.81. Australia’s S&P/ASX 200 added 0.4 percent to 6,089.90. Japan’s benchmark Nikkei 225 advanced 1.8 percent to 21,273.16. The country said its core machinery orders dropped 0.1 percent in December from the previous month, beating forecasts of a 1.1 percent decline. Shares rose in Taiwan and throughout Southeast Asia. WALL STREET: Optimism surrounding U.S-China trade talks boosted indexes on Friday. The broad S&P 500 index rebounded 1.1 percent to 2,775.60. The Dow Jones Industrial Average climbed 1.7 percent to 25,883.25 and the Nasdaq composite rose 0.6 percent at 7,472.41. The Russell 2000 index of smaller company stocks gained 1.6 percent to 1,569.25. ENERGY: U.S. crude added 28 cents to $55.87 per barrel in electronic trading on the New York Mercantile Exchange. It added $1.18 to settle at $55.59 per barrel in New York on Friday. Brent crude, used to price international oils, shed 2 cents to $66.23 per barrel. It picked up $1.68 to $66.25 per barrel in London. CURRENCIES: The dollar strengthened to 110.53 yen from 110.48 yen late Friday. The euro rose to $1.1317 from $1.1293.